In a food processor, mix together flour, salt, sugar and lemon zest. Add the small pieces of butter and pulse until dough is in pea-sized pieces. 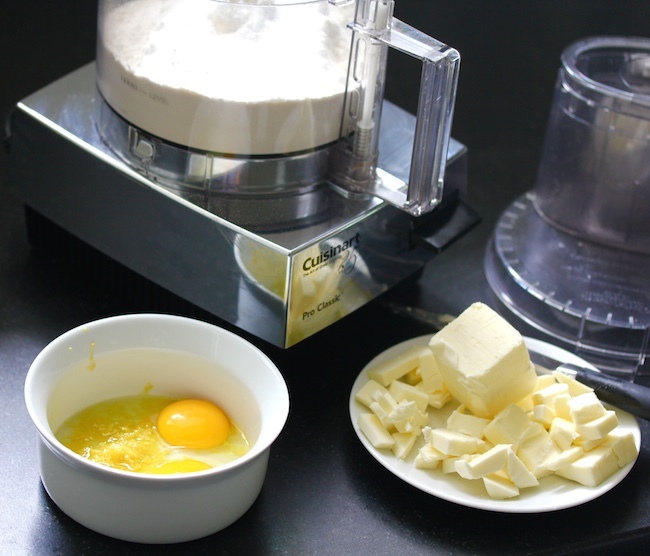 Add the beaten-together egg and egg yolk and pulse until dough forms. Sprinkle flour on a dough board or other work surface. Turn the dough out of the food processor and form into a ball. Cover in plastic wrap and refrigerate for an hour. 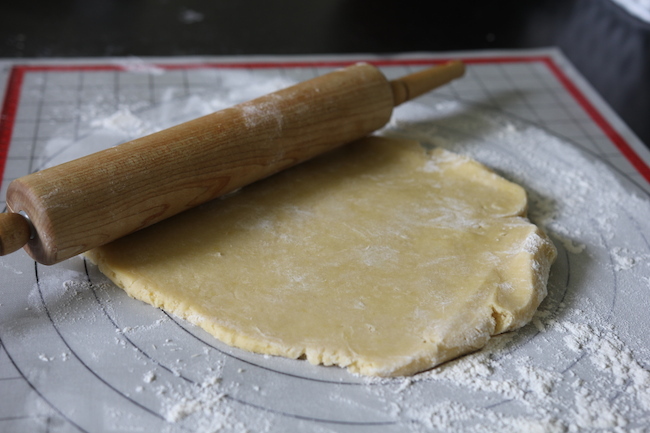 When dough has cooled, unwrap and roll out on a dough board to 1/8 inch thickness. 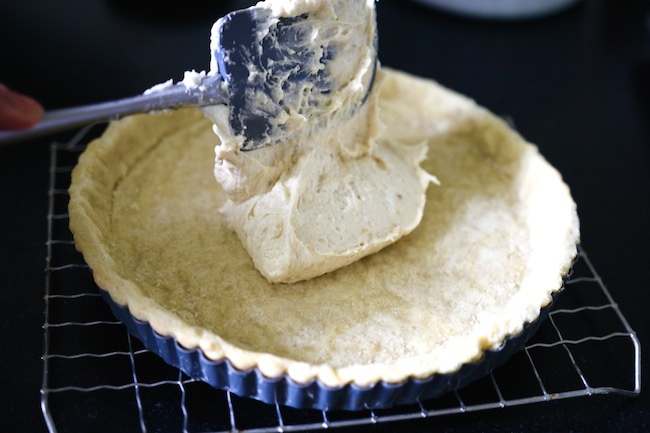 Press dough into an eight-inch tart pan, trimming off excess dough. Prick holes in the bottom of the dough with a fork and refrigerate for ten more minutes. 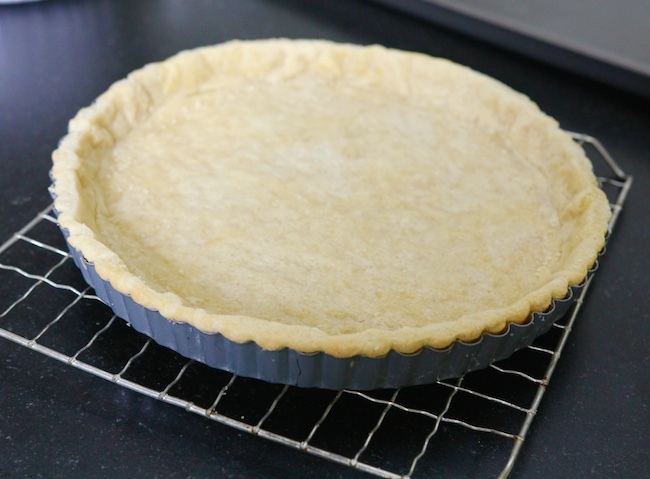 Line the tart shell with parchment paper and fill with raw rice or pie weights. 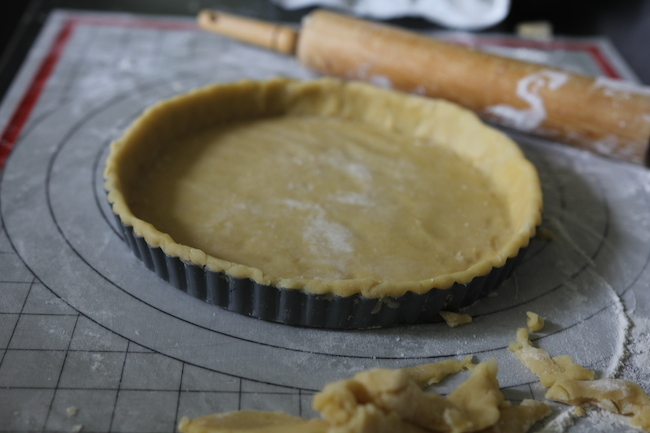 Bake tart shell for 15 minutes until it is firm but not browned. 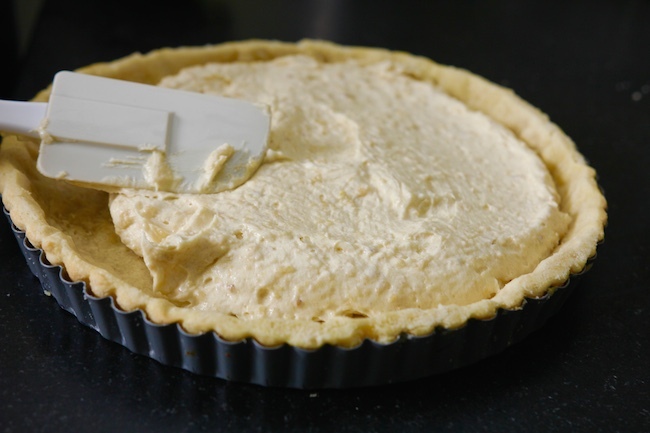 Remove pie weights and allow crust to cool. Combine butter and sugar in a mixing bowl and beat on medium speed until fluffy. Add the eggs, one at a time, mixing well and scraping down the sides of the bowl. At low speed, add flour, pine nuts and vanilla and mix until well combined. Pour filling into tart shell and smooth top. 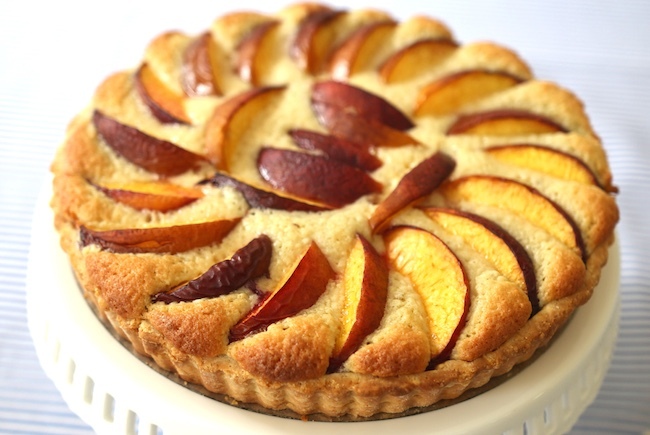 Cut peaches into 1-inch thick slices and arrange on top of the filling. Bake 40 minutes at 350 degrees, and give it 20 minutes to cool before serving. 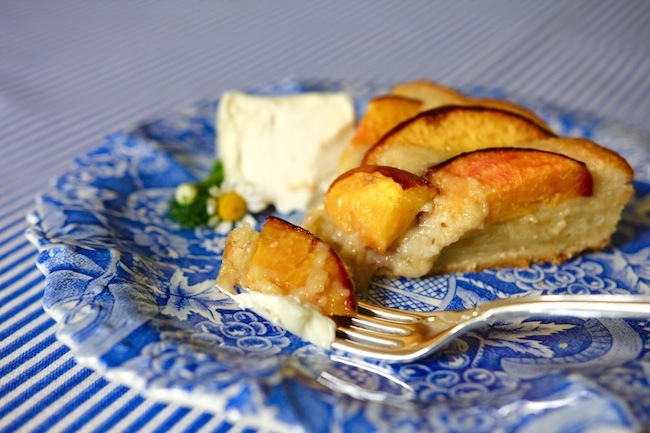 For a more elegant dessert, add triple cream cheese to individual servings of the tart.